Shitdisco were a dance-punk band from Glasgow, Scotland. They were formed in 2003 while studying at the Glasgow School of Art. 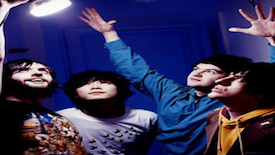 Their first single "Disco Blood"/"I Know Kung Fu" was released in December 2005. They are signed to record label Fierce Panda. 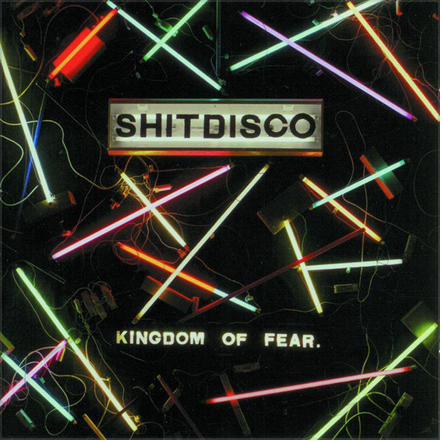 Shitdisco released their debut album Kingdom of Fear on 16 April 2007. The group have been compared to Talking Heads and The Rapture, but admit influences ranging from Donna Summer, Arthur Russel and The Prodigy to Gang of Four and The Clash. Since the release of "Disco Blood"/"I Know Kung Fu" the band has toured extensively in the UK and Europe, even playing as far afield as Bangkok and Istanbul. In 2007 they signed to Sony Music in Japan, Dim Mak Records in USA and Fierce Panda Canada in Canada. The members of the group produced two tracks for Japanese new-wave unit 80_pan's 2008 album, "Disco Baby". In 2009, they split up after mutual agreement. They continue to DJ and members have gone on to form the bands Age of Consent and Ubre Blanca.